The new Asporto // Heart Preservation Device by Hibernicor was launched on April 11th,2018 at the International Heart and Lung Transplant Conference in Nice (Fr). The conference had 2665 attendees from over 45 countries who specialize in the multidisciplinary management and treatment of end-stage heart and lung disease. Dr. Andrew L. Rivard at the ISHLT conference. 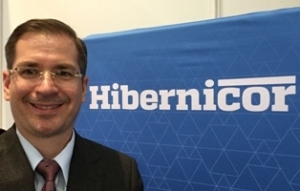 Hibernicor completed the initial production of a light-weight carbon fiber device with an pioneering American carbon-fiber manufacturer. The Hibernicor carbon fiber insulated cooler and perfusion system is designed to double the preservation time of the donor heart. The system is now ready for pre-clinical testing prior to FDA 510k approval. Asporto controls the administration and circulation of a saline-based fluid to the donor heart during hypothermic storage in a carbon-fiber insulated shell cooled using thermoelectric technology. The heart is stored in a single-use sterile container. Dr. Andrew Rivard – the company founder presented the Asporto device as one of 30 companies exhibiting at the ISHLT conference this year. Dr. Rivard obtained his BA, MS, MD degrees from the University of Minnesota with a concentration on cardiovascular physiology. In 2002 he founded Hibernicor based upon research done in Minnesota at the Experimental Surgical Services. He also developed an electronic medical record system (Praestro), was an innovator in many health care technologies focusing on heart valves, heart transplantation, and imaging. He is a diagnostic cardio-radiologist trained at the University of Florida and now works for the Cleveland Clinic in Abu Dhabi focusing on advanced cardiac imaging.